Our goal is to leverage what is already out in the field in terms of partners, but then hire in project management capability and a bit of technical capability. It is easy to get excited about the new wave of technologies entering the market and the constant evolution of frameworks, hardware and technological ecosystems while at the same time forgetting about the single biggest bottleneck in web development: social challenges. Organizational structures, governmental mandates (in terms of standards compliance), special requests, gridlock and the like are bigger factors involved in the successful completion of major web development projects. The client is also responsible for your success. To manage these social challenges a disciplined consulting approach is needed. Not only should the developers facilitate and lead consensus but also managers on the receiving end should diligently contribute to the projects completion. Hence, taking a project towards success doesn’t depend solely on the technicians involved in content production. You will inherit any pending internal wars. And these “wars” will manifest in fights for prominence in the homepage, amount of content displayed and other automated features. Each department will fight to have more prominence on the web and hence better performance on the real world of sales and corporate indicators. Welcome to a war you didn’t start. You will manage more, not less legacy hardware and software. Probably your project will at some point have to integrate certain facilities with even obsolete programs and services residing in the bowels of the corporate ERP. Plus, you will inherit any partial developments created by a previous web development team. Your only recourse here might be to negotiate having the client prepare these integration scripts or replacing certain legacy systems altogether. Good luck with that. All web developers in their careers experience contracting for a gridlocked company. This is a very particular feeling and one that you won’t forget easily. The client can’t provide you with content in a timely fashion, meetings are a canvas for internal warfare and emails are received with a cold face that looks the other way. To help you understand this situation I must say that probably “It’s not you. It’s them”. Gridlock occurs when equal forces move in opposite directions within organizations. It usually precedes a major corporate change or failure and is pretty hard to identify for any external consultant. To manage gridlock you need legal counsel that can tailor made contractual agreements that compel your clients to timely answer your requests or face financial penalties. Even with adequate counsel, enforcing these penalties is damaging to pre-existing relationships and should be used sparingly. It doesn’t end with the client, though. You must comply with any governmental standards that your country has established, deliver upon industry best practices and adhere to W3C recommendations. While you will likely not directly interface with these institutions it is clear that they underscore the complexities associated with building any major website. Certainly, web development requires many social and technical skills as well as pre-existing rapport with clients in need of major professional service. Try to think thru these social challenges before engaging in any major web development project and quote accordingly. Also, don’t solely focus on achieving great technical acumen and strive to grow as a person by developing your social skills as much as you can. In any event, focus on clients that have a good corporate culture and a manageable work/life balance. Last week, comScore released an impressive social media report for Latin America. The report is very bold and clear in a number of data points. 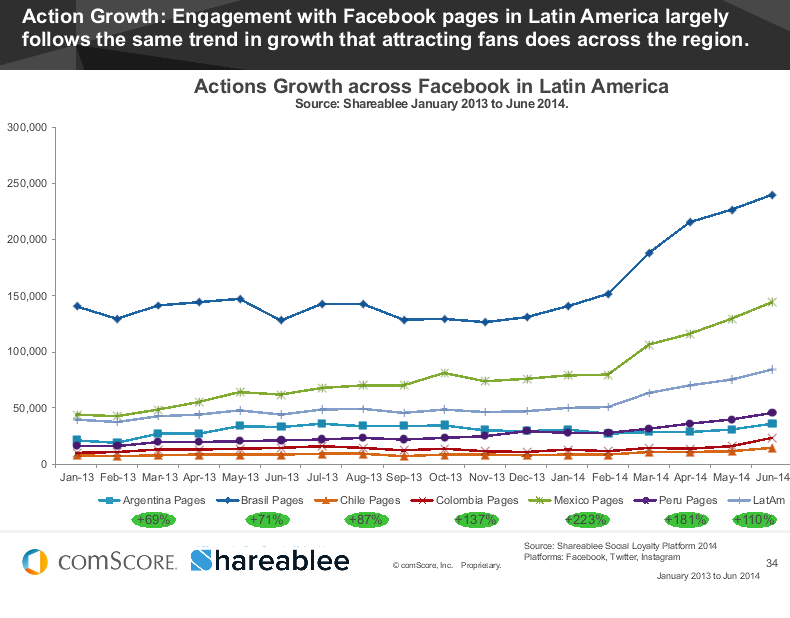 First, actions with Facebook Pages are growing exponentially, with bolder engagement in Mexico and Brasil. 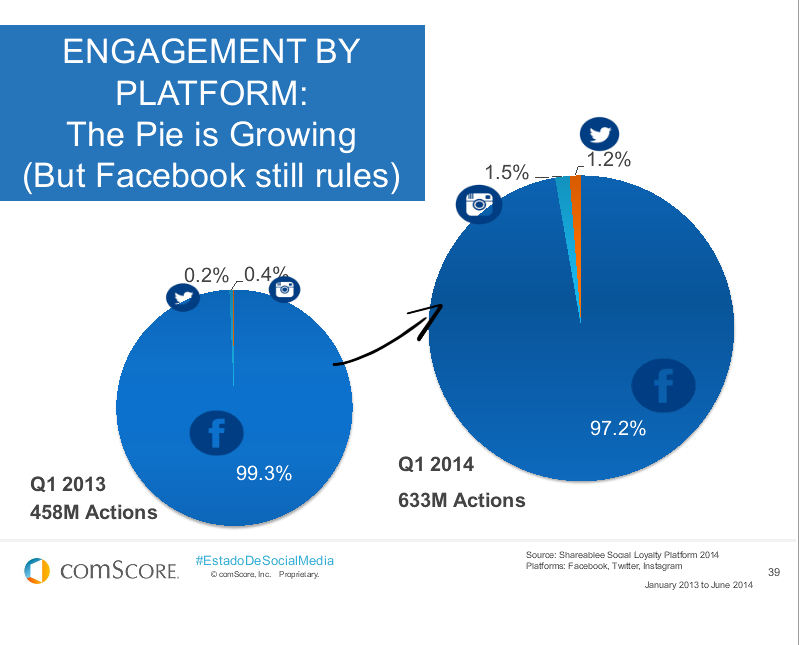 The market, according to comScore data, is largely Facebook-centric, with a penetration of 97.2%. 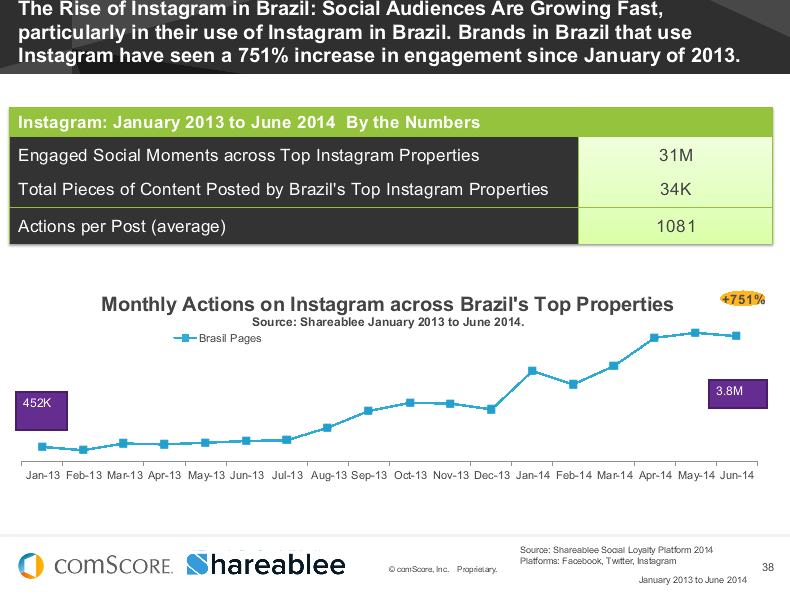 And, finally, another salient metric is the penetration of Instagram in Brazil. Where the social network brought a 751% increase in engagement to active brands. For more metrics and to view the full presentation visit The State of Social Media in Latin America and the Metrics that Really Matter. Print, Radio, TV, Exterior, Web and now Web 2.0, the new ingredient of your marketing mix. Does your company have a facebook page? Do you constantly upload videos to Youtube? Do you syndicate content at least monthly? There’s a new channel on the Internet, which is the new way of getting your clients’ attention. Is the interactive channel, the new type of web site that allows audiences to post their comments, files, messages and videos. Here at ip, we’ve embraced Web 2.0 as the only viable comunications mean in this new century. First, people want a free Web, with no strings attached. Second they want interactive content, and third, they prefer content delivered to them by viral means. This means trust, this means a stronger relation and a more knowledgeable client. At the end of the day, after 10 Youtube videos, two facebook pages, 20 delicious bookmarks, one blog and one twitter feed you’ll have a MiniNet. Or a network of 30 minisites, that will drive 10 times the people to your Web site. No wonder Burger King has ONE Web site and TWENTY Web 2.0 sites. That is content recommended by a friend or associate.